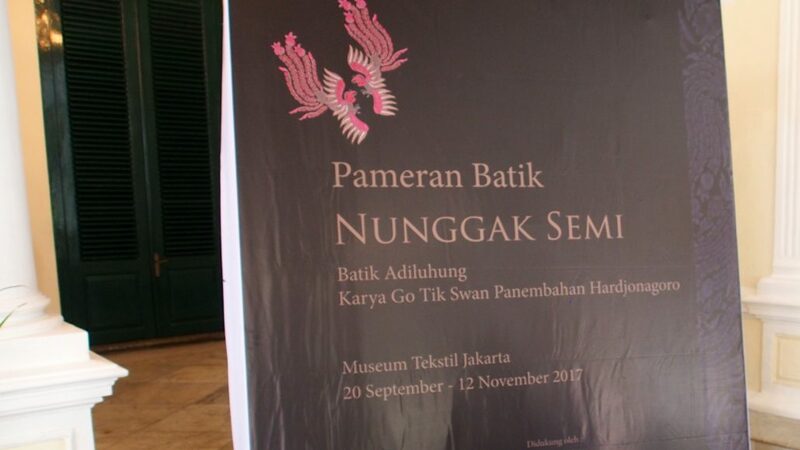 Nunggak Semi, Batik Adiluhung Jarya Go Tik Swak Panembahan Hardjonagoro, currently on exhibition at the Museum Tekstil in Jakarta from September 20, 2017 through November 12, 2017 is an exquisite collection of batik by Go Tik Swan Hardjonagoro, curated by Misari. 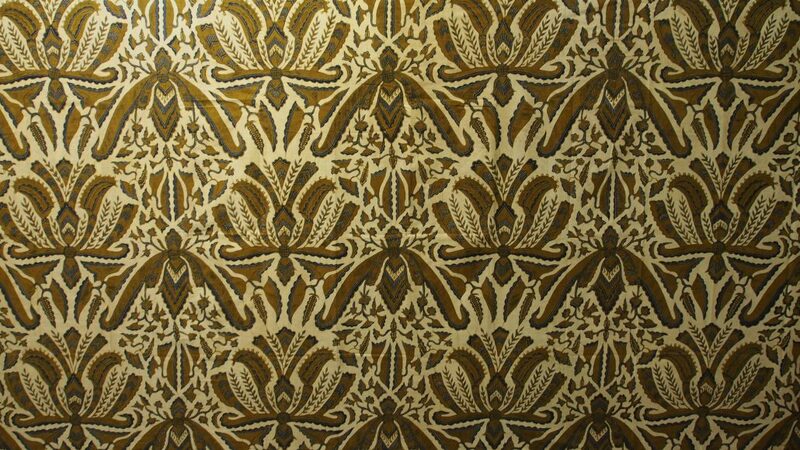 His work was a seminal influence on the direction of modern batik in Indonesia. 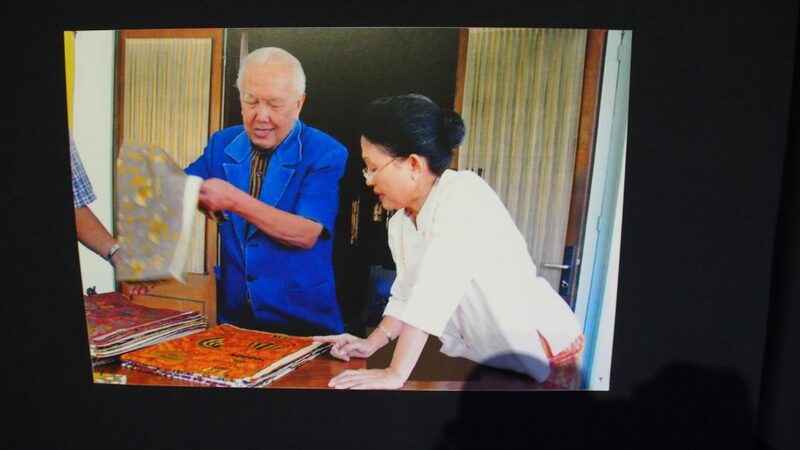 The exhibit title contains the essence of his life’s work, Nunngak Semi. Benny Gartha of the Museum Tekstil explained the translation of the Javanese meaning “to create something new based on an understanding and respect for the tradition and philosophy from which it arises”. 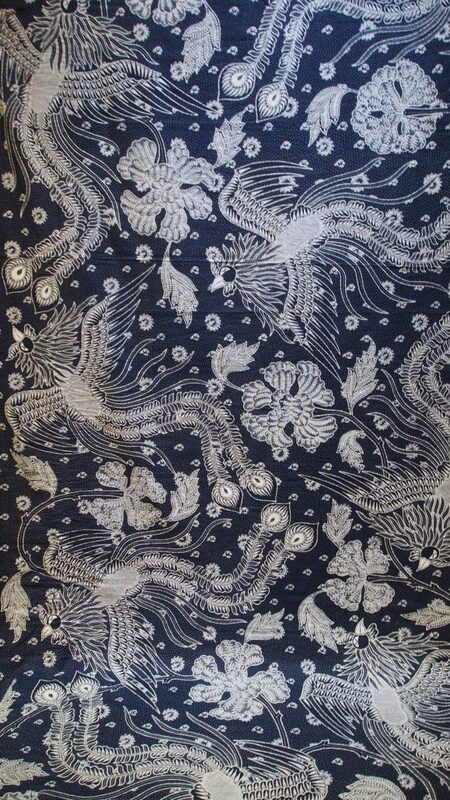 Go Tik Swan’s batik certainly shows a deep reverence for the tradition and knowledge of the philosophy of Javanese batik. This exhibition spans the creative output of his entire career from the early 1950’s through the the late 1970’s. “Go Tik Swan was born into a Chinese family in Solo. His maternal grandfather had four batik workshops in town and the young Go Tik Swan often played with the craftsmen and craftswomen and children who worked in the workshops. From them he learned a lot about Javanese art and culture. Universitas Indonesia’s anniversary commemorations and the young Chinese-Indonesian’s performance made an impression on Sukarno who attended the ceremonies. 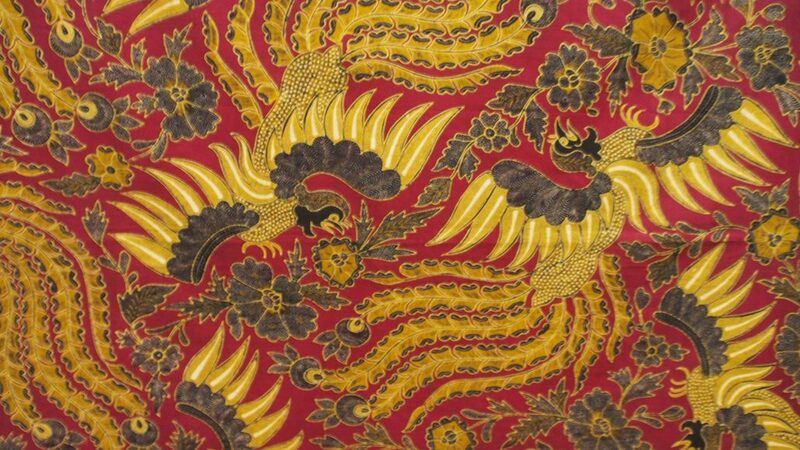 Having learnt that Go Tik Swan came from a family of batik manufacturers, the President who was obsessed with the notion of nation building suggested that he develop a new kind of batik. 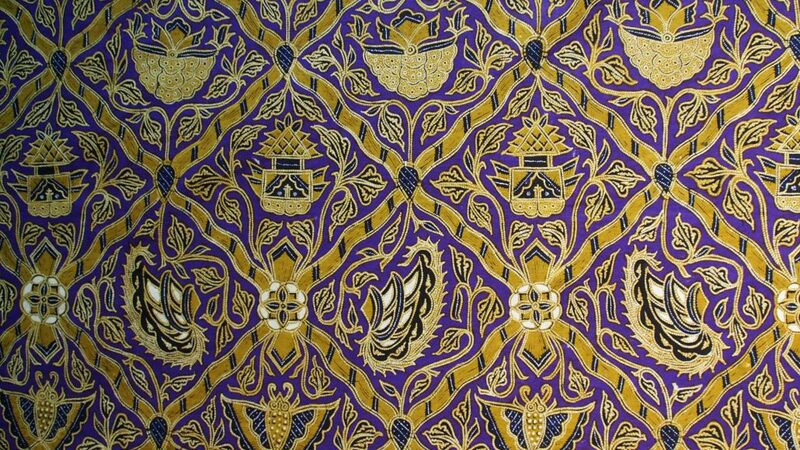 Although the batik would still clearly be identified with Java, but Sukarno thought that Indonesia had a wealth of cultural elements that could become a source of influence for a “national” batik. 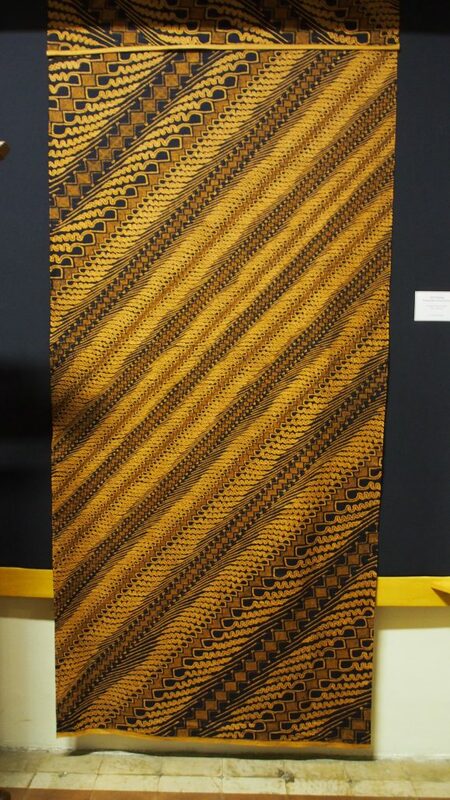 He called it “Batik Indonesia”. This indeed moved Go Tik Swan. 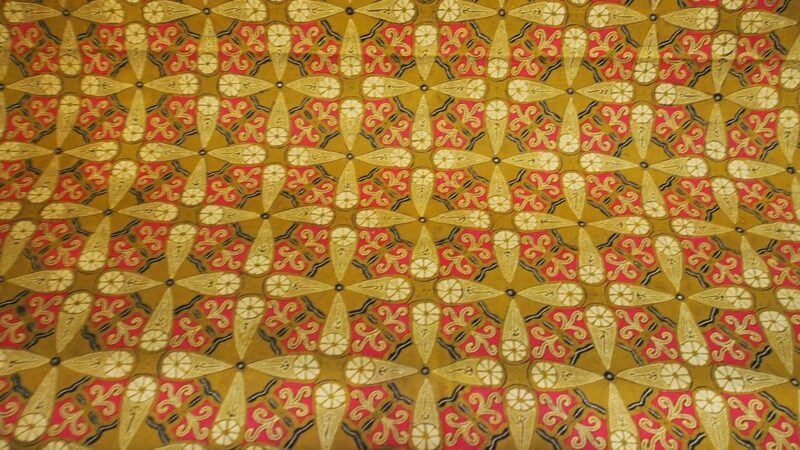 Upon his return to Solo, he immediately focused on learning more about batik. 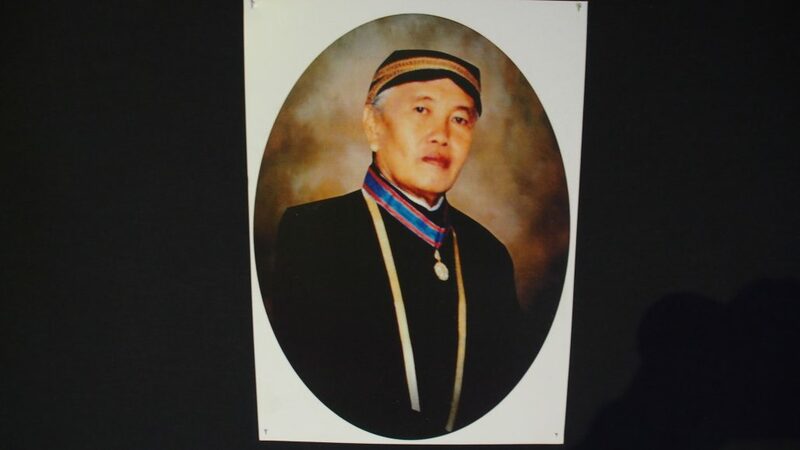 Through Prince Hamidjojo, a son of Paku Buwana X and a specialist on Indonesian studies who graduated from The University of Leiden, who lived not far from his grandfather’s house, he was able to study the ancient patterns from the mother of Sunan Paku Buwana XII. 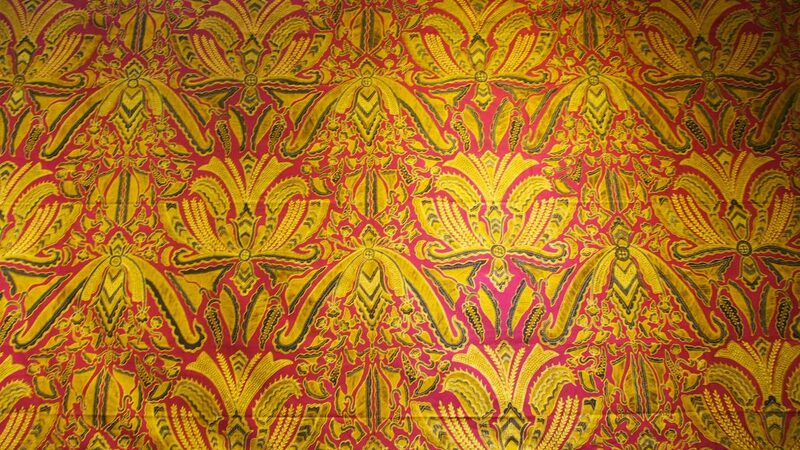 He studied them carefully and then developed them into new designs or recomposed them with new colour combinations which became known as “Batik Indonesia”. 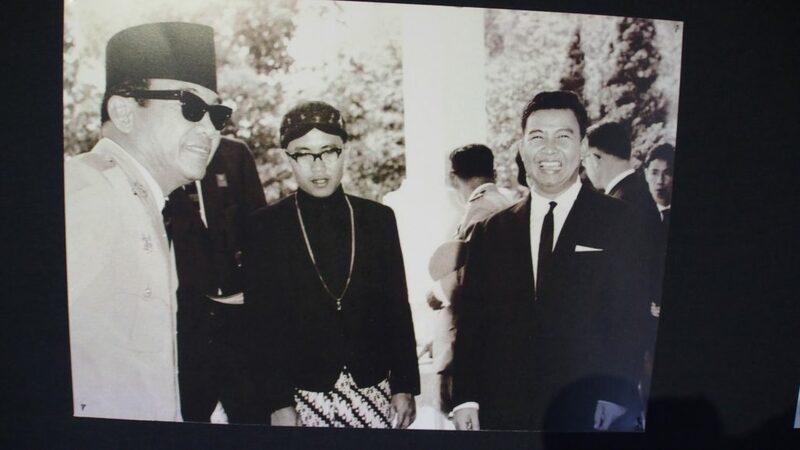 With President Soekarno in the early 1950’s. Go Tik Swan’s challenge from President Soekarno was to create a new kind of batik that incorporated elements that have given Javanese batik its character, vitality, and deeply imbued meaning, but to extend that meaning to become something that could be embraced by a newly emerging country just beginning to find ways to create a national identity, woven together from many cultures and many languages. 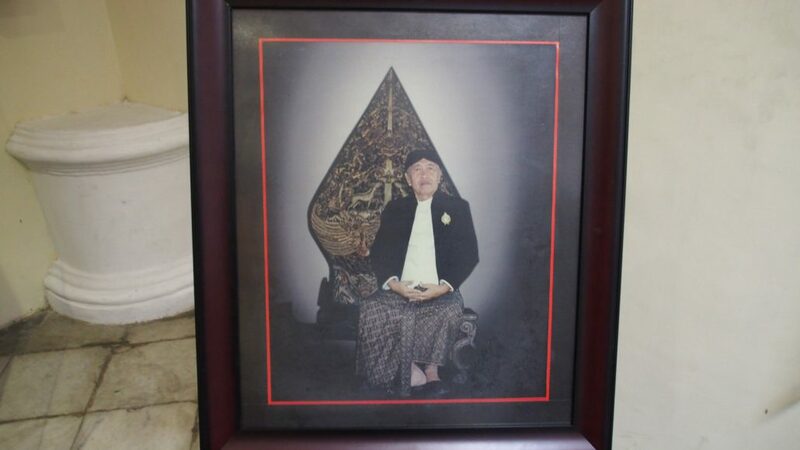 It seems that President Soekarno wisely picked someone who was inherently well qualified, because Go Tik Swan himself of Chinese origin, embraced Javanese culture to create something new and old at the same time. 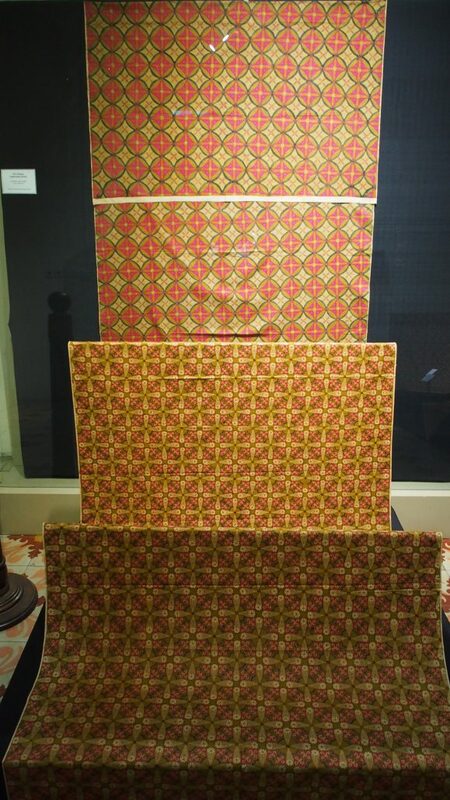 He gave new vitality to tradition, expanded it, and demonstrated that batik is a dynamic art that can be built upon and it’s meaning can be relevant and contemporary, while at the same time based on tradition. For me this kain panjang most clearly demonstrates the concept of nunggak semi. 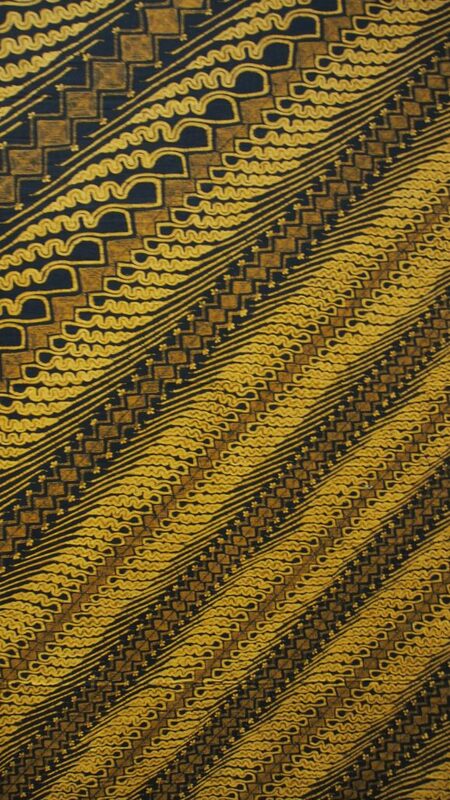 It’s probably the most easily recognizable batik motif in Indonesia and if you come here, a day will not pass that you will not see it somewhere, on a man’s shirt, a woman’s handbag, or in a advertisement for tourism. At one time it was forbidden for anyone to wear except certain members of the royal court, but now is ubiquitous. 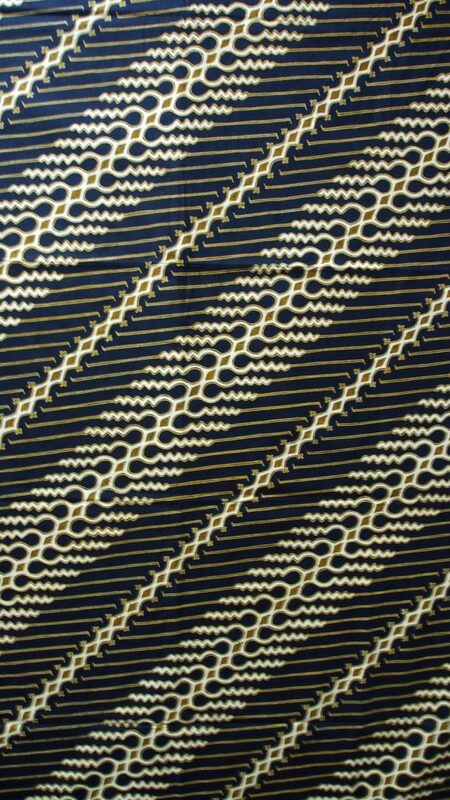 In this cloth Go Tik Swan takes the natural rhythm of the motif which is traditionally always depicted in diagonal lines of equal size, and jazzes it up giving the lines sweeping curves and a variation of size from large to small and back. It’s a very simple idea but brilliantly gives the parang motif a new and almost whimsical dynamic. In this, another version above of the parang motif, an element of the design that is not usually emphasized is given special emphasis to create a very contemporary and punchy graphic impact with black and white and only a trace of the usually dominant sogan brown. 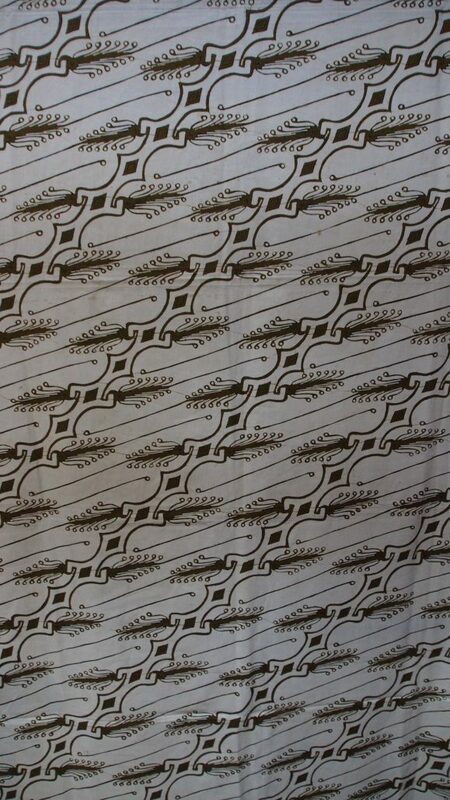 Here is another example of parang motif, this time pared down to very delicate fernlike tendrils starkly drawn in black on a dominant white background. One of the most obvious ways Go Tik Swan transforms traditional batik motif’s is by inserting background colors that contrast,shock or vibrate, and push the motifs forward almost confrontationally. 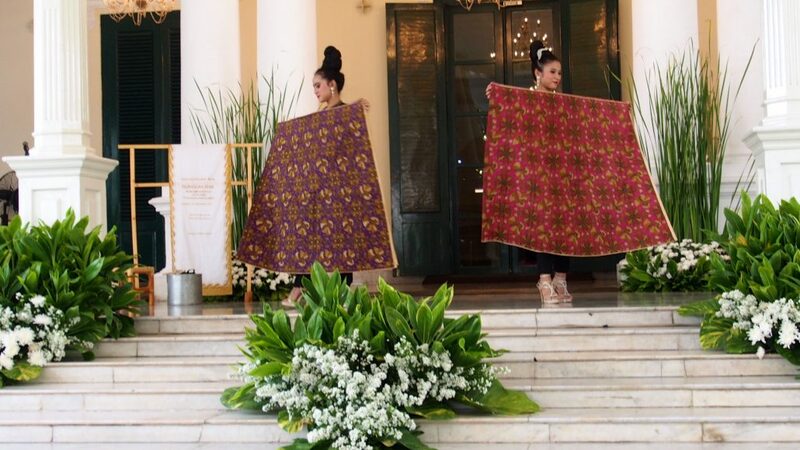 He also expands the size of certain motifs dynamically in a way that was copied later by Iwan Tirta in his batik designs for fashion. 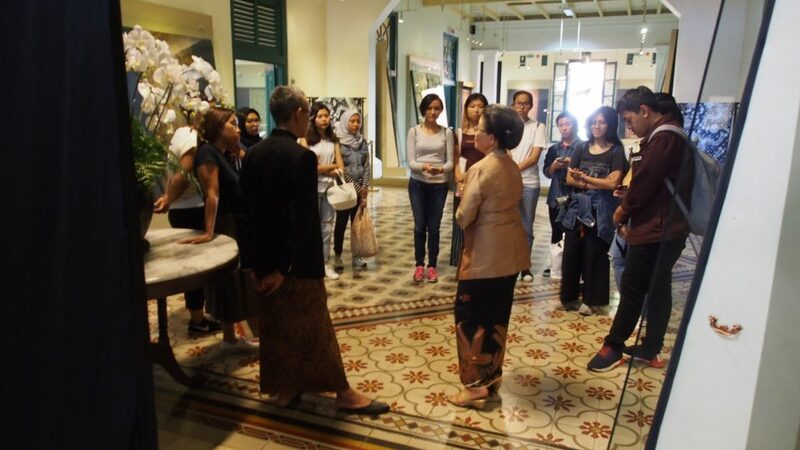 Bu Neneng Iskander, collector, with Benny Gartha of the Museum Tekstil, discussing the batik with a group of students. 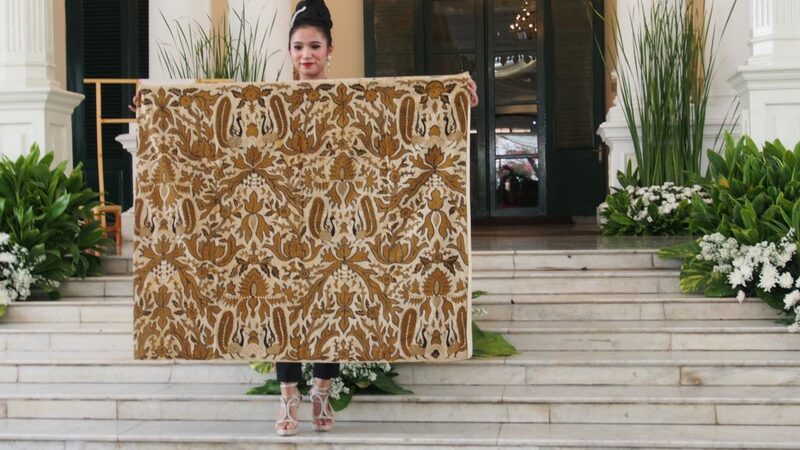 Neneng Iskander with Go Tik Swan Hardjonagoro inspecting batik. If you are in Jakarta in the next months be sure to visit this museum. This exhibit is well worth it. and the building itself is of great interest as well. It is a magnificent colonial era building with over scaled doors and windows opening to gardens and walkways. I was particularly attracted to the beautiful and well preserved tile floors in intricate carpet like patterns defining each room.